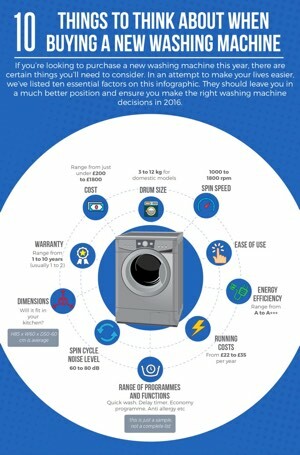 This Beko washing machine comes at a budget price and could save you 50% off your fuel bills compared to similar machines. It has an A+++ energy efficiency rating which is the highest possible rating. It has automatic water reduction only filling the machine according to the size of your load (which is environmentally-friendly and will save you even more money if you happen to be on a water meter). It is also cold fill only and will cost you a mere £24 a year to run. 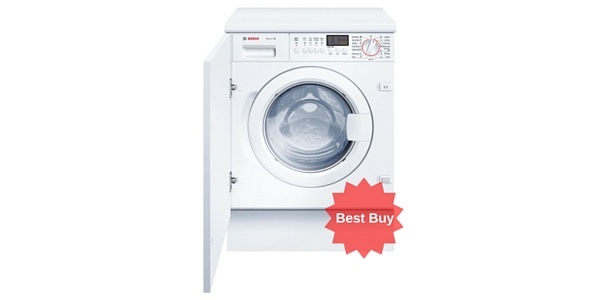 This model is of surprisingly solid build for the price and is nice and strong with a good, wide-opening, sturdy door meaning no accidents when you are loading the machine with a large load. 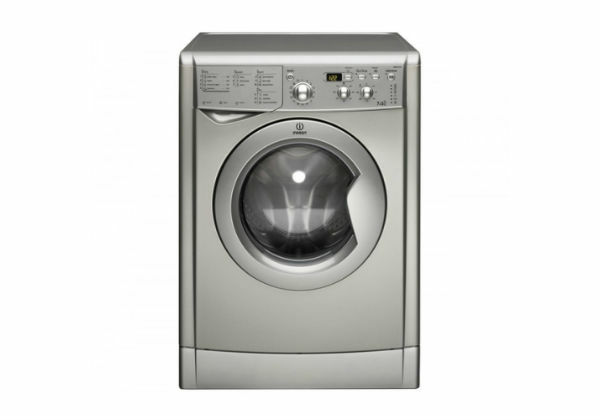 This Beko has an 8 kg drum, which is quite large and can wash up to 40 T-shirts or a 3.5 tog duvet. 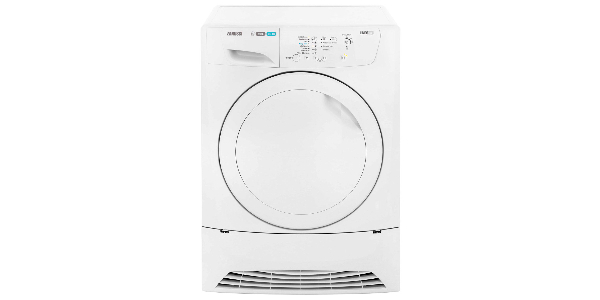 The ECOWMB81445LW does a great job of your wash and buyers unanimously say that it is a brilliant family washing machine and offers excellent value for money! 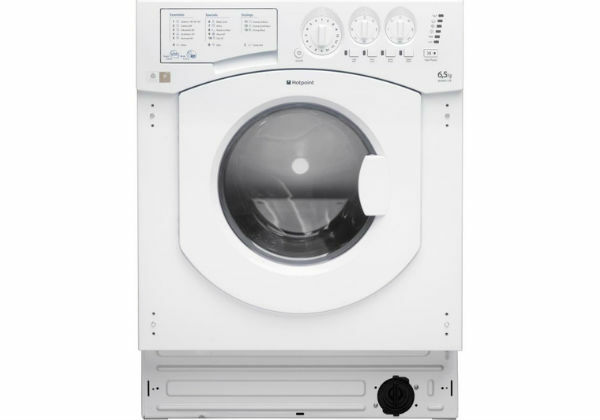 The appliance has 16 programmes including an allergen proof baby and toddler setting, and also offers a setting for heavily-soiled sports kits and so is an ideal family machine. 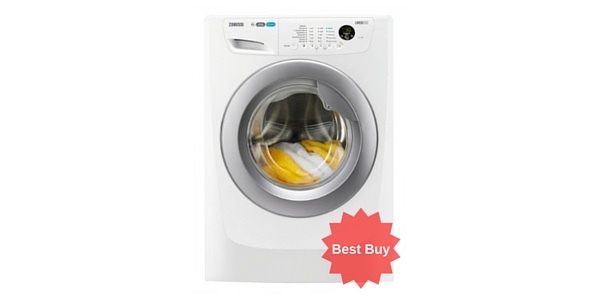 It features a 14 minute quick wash which is great for just a few items or if you are in a hurry so you can tailor the wash time according to the size of the load. It also has a woollen and a delicates cycle as well as longer programmes for whites and cottons. 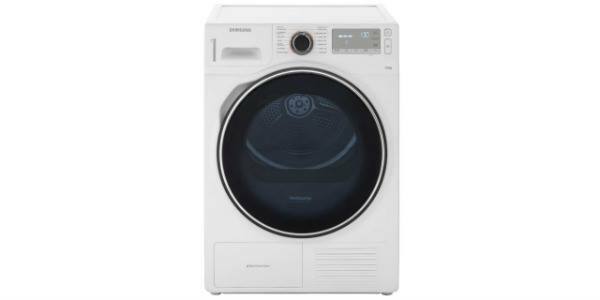 The Beko ECOWMB81445LW is fairly quiet to run (at 73dB on spin). It will fit under most kitchen counters – the dimensions are (H)85.0 x (W)60.0 x (D)59.0 cm. 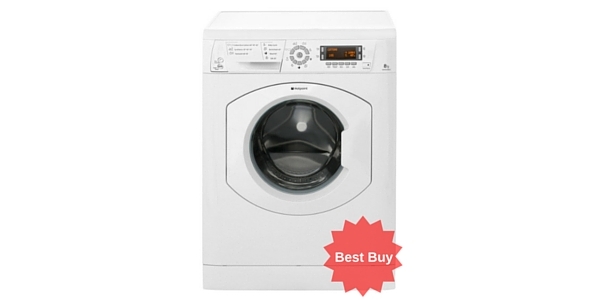 It has a simple button and dial control panel with a nice easy-to-read LED display. The control panel with give you a countdown to the end of the wash cycle which is handy when you are planning your time. 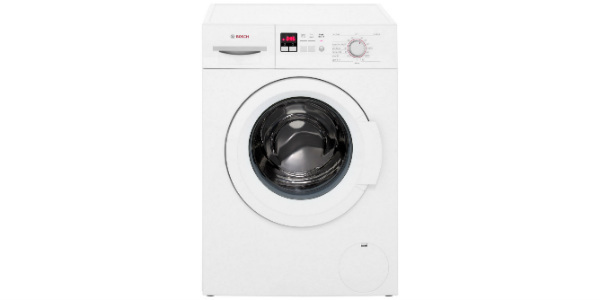 It has a 24 hour delay timer so that you can set the machine to run at a time that is convenient to you, for example early in the morning or at night to take advantage of white meter tariffs, or even during the day when you’re out. 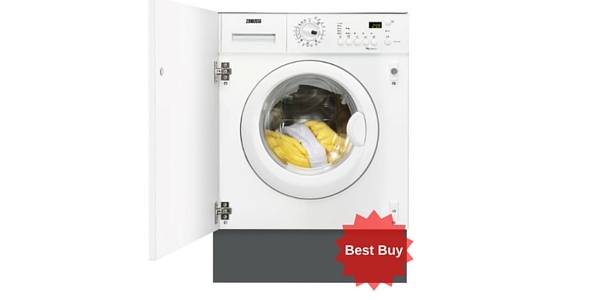 As a family washing machine this Beko also features a tamper proof child lock for safety. 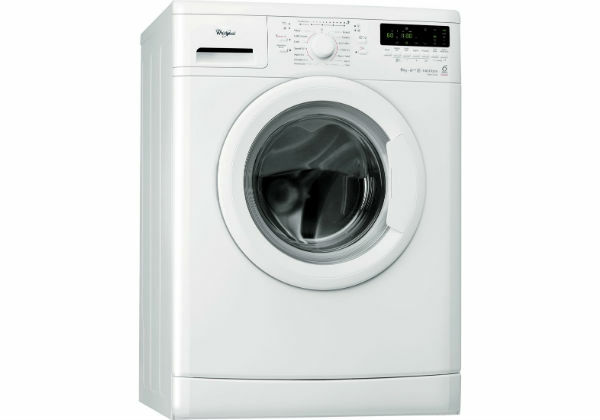 This model has variable spin speed and variable temperature. 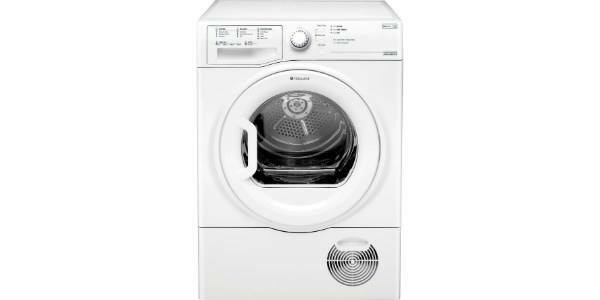 On the spin cycle the drum turns at 1400 rpm (great for getting as much water out as possible so the clothes are easier and quicker to dry) and the machine comes with a year’s manufacturer warranty. Check out the video below for a real customer’s review of their machine (spoiler alert – she’s very happy with it!). If you think this model could be just right for your family check to see who’s cheapest from the chart below and click the green “Visit Store” button. 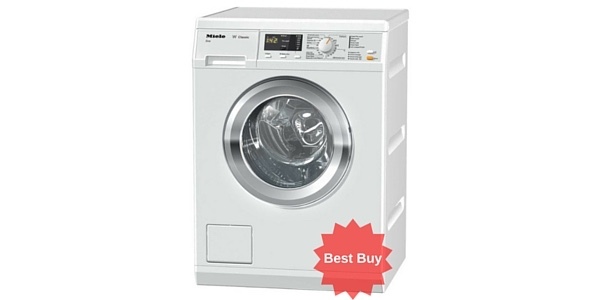 This is a cracking budget machine from Beko which is very popular with buyers - the vast majority of whom would recommend it to a friend. It's environmentally-friendly, cheap to run, has a large 8kg capacity, spins quietly and has plenty of programs. 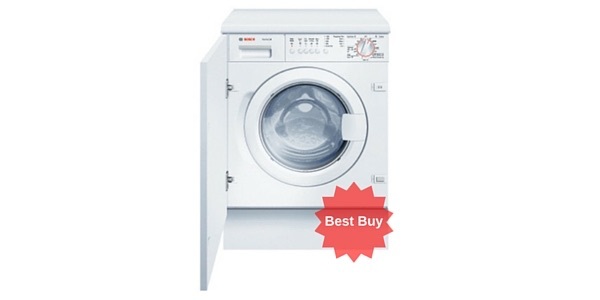 We think you'll struggle to find a better machine for this price, definitely one of our Best Buys! 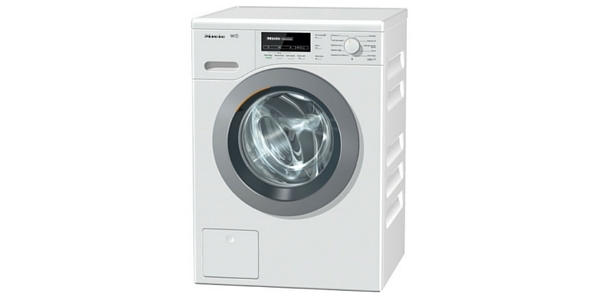 I bought this Beko to replace my old Zanussi and so far so good. It’s very easy to use and does everything I need. Brilliant value for money!!! Many thanks for your comments Sarah and glad you’re happy with your new machine. Great news Michael, we love to hear positive feedback! !